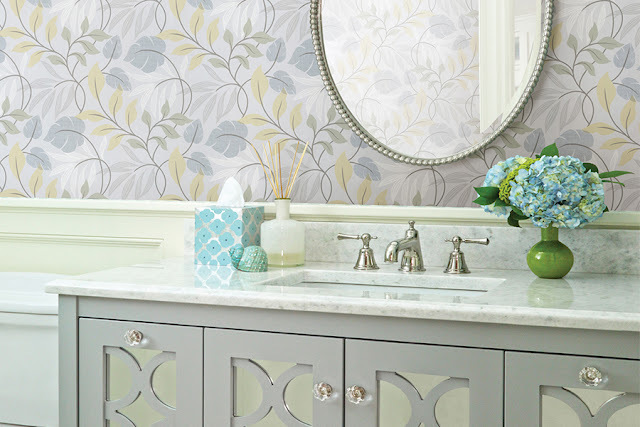 The powder room is the perfect setting for trying out a dramatic wallpaper addition that wows your guests and makes a big visual impact. 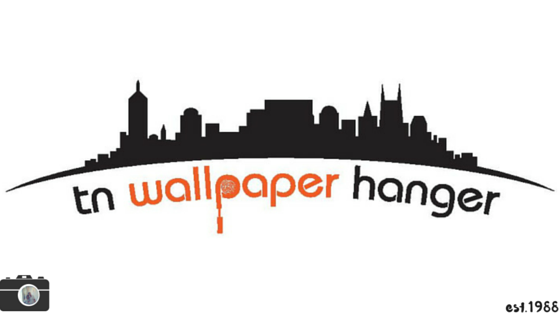 Designers deliver their favorite wallpapers for the powder room. This bright and colorful wallpaper featuring light pink, magenta and soft grey tulips, invites a fresh hand-painted design to walls in a fashionably chic print. 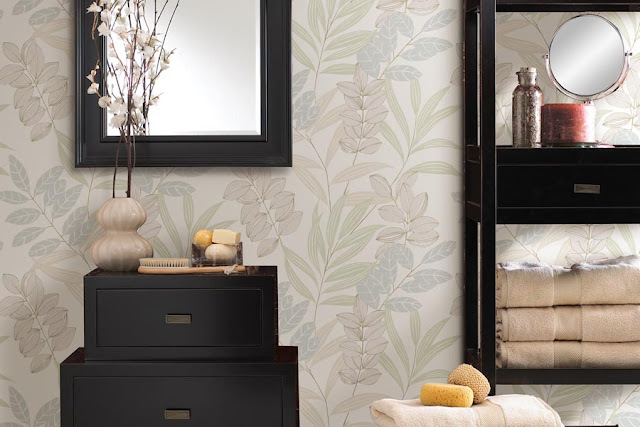 Transform your bathroom into a modern oasis with this invigorating wall covering of a lush leaf trail. A fresh and inviting palette makes for an exceptionally warm and cheerful space in your home. 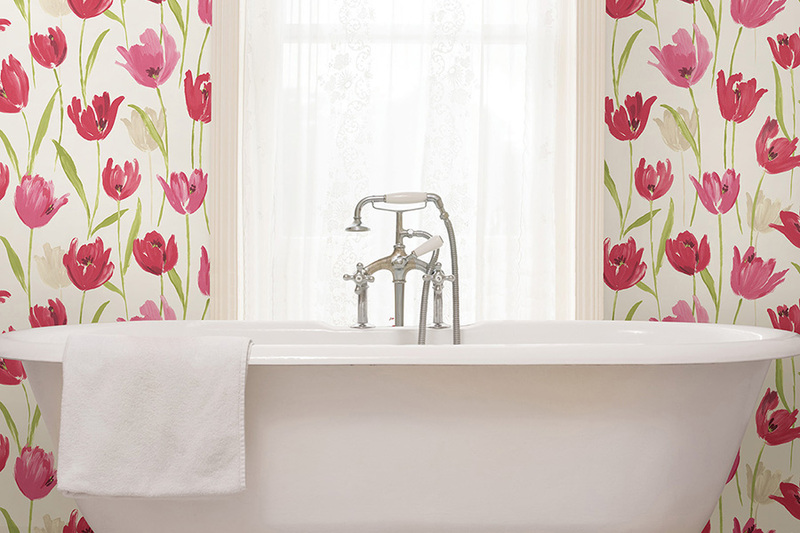 This happy-chic wall covering brings fresh detail and vibrant color to a room with a stunning garden inspired print. 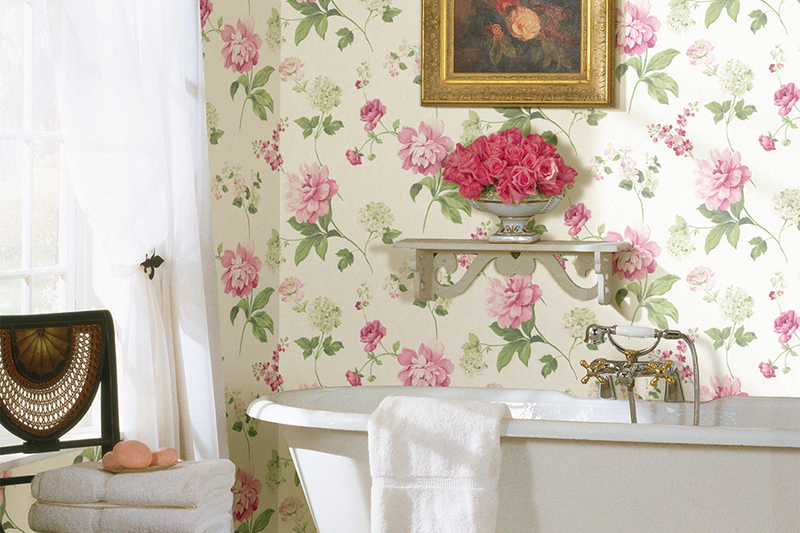 A delightfully bold palette that includes magenta, soft pink and green, bursts from walls in a watercolor rainbow of lush blooming peonies. Charmed in summer's favorite hue, this salmon damask wallcovering colors walls in a traditional regal design with an added burst of coastal flavor. Bringing a refined beauty to walls, this fine floral wallpaper has a stylized iris design in washes of metallic grey and cream.